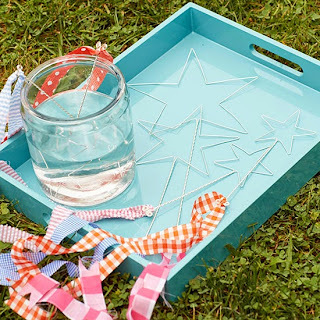 Play with Bubbles ~ What's inexpensive and guaranteed fun for kids? Bubbles! 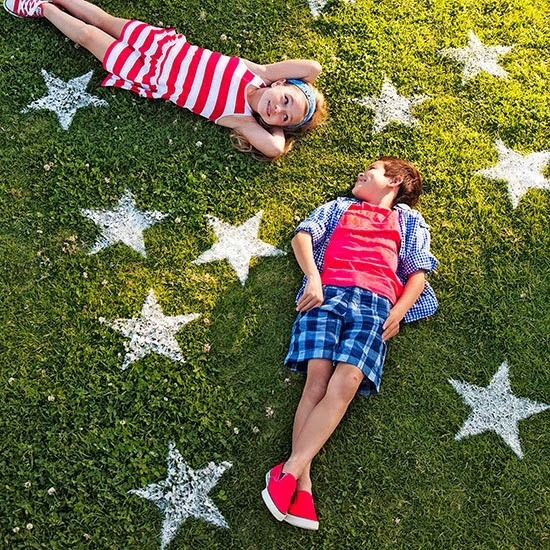 Give this cool kids' activity 4th of July style with DIY star-shape wands. 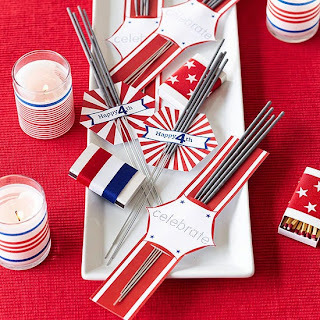 Mix Up Your Reds, Whites, and Blues ~ The classic July 4th look is red, white, and blue, but you can use whatever shades you want. 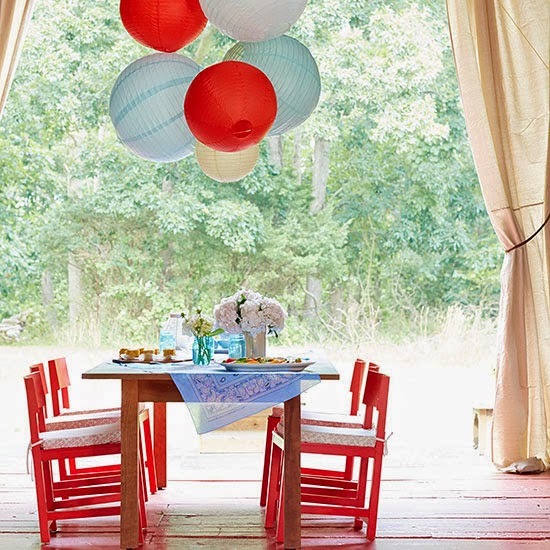 Rather than the traditional cobalt blue, we chose pastel hues of aqua and sky blue for a modern look. 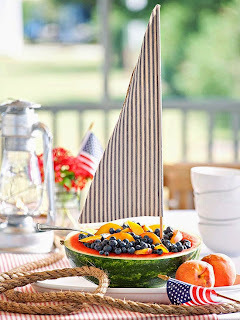 Fruit Salad Sailboat ~ A simple sail is all you need to transform a watermelon fruit salad into a seaworthy centerpiece. 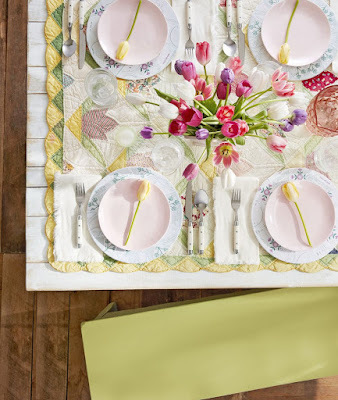 Cut a triangle from ticking fabric and fold it in half over a dowel. 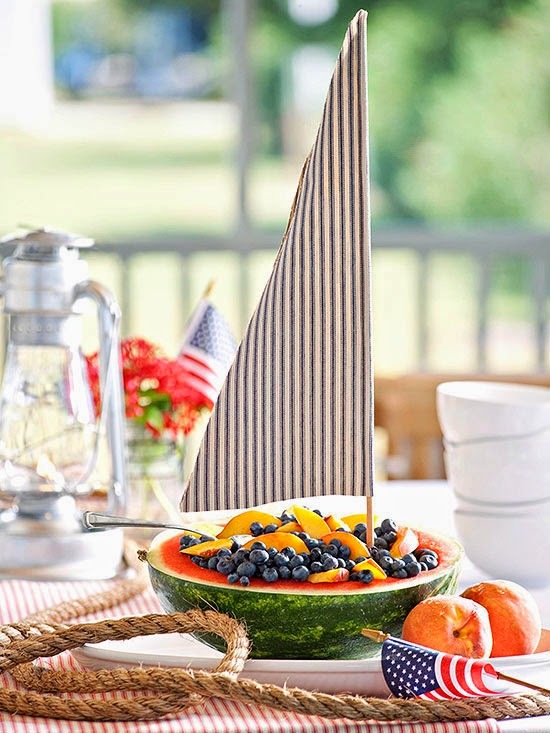 Hot-glue the fabric along the dowel to secure and along the loose edges for a stiff sail. 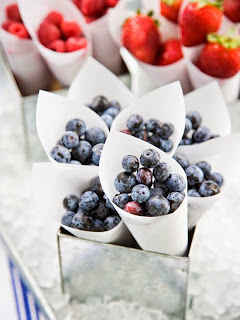 Fair-Style Berry Paper Cones ~ Use food to decorate the picnic table. Form sturdy waxed paper into cones, securing with transparent tape. Fill each cone with blue or red berries to create a sweet treat and dazzling display all in one. Starry Night Decorations ~ Give the grass star-spangled treatment for your 4th of July party. Focus the stars near the entrance to your yard for a dramatic welcome. 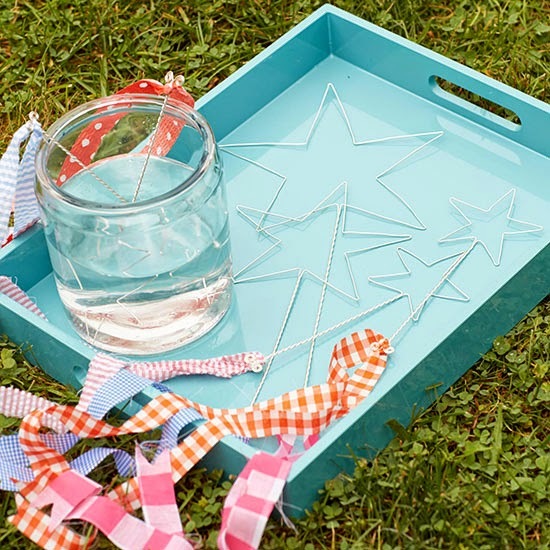 To make, cut a star shape from a piece of cardboard. 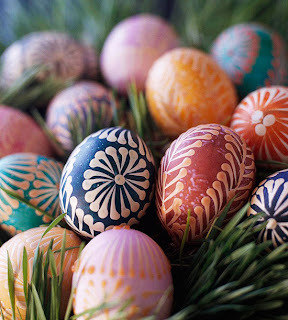 Lay the stencil on the lawn and spray the grass lightly with water. 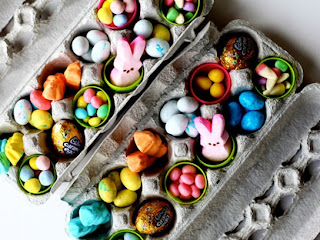 Leave the stencil in place, and use a flour sifter to fill the shape with flour. 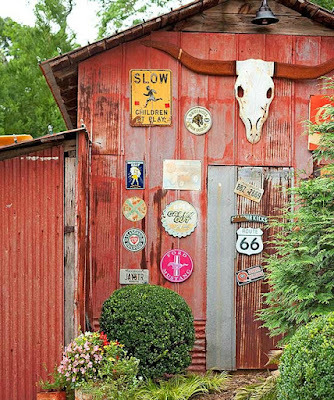 Remove the stencil and repeat. 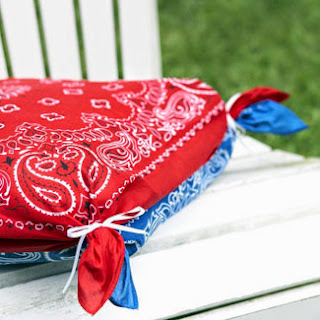 Comfy Seats ~ Soften outdoor chairs with no-sew pillow covers crafted from contrasting bandannas. Sandwich one cushion between two scarves, then join each corner together with a rubber band and hide bands with thin ribbon, as shown.